Dr. M.V. 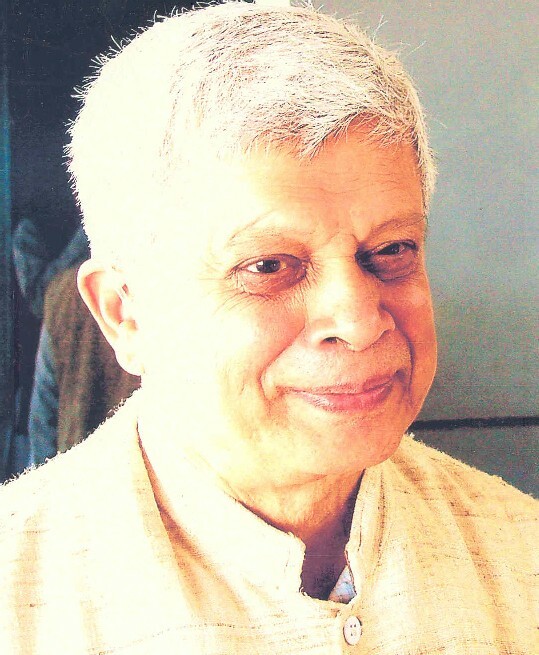 Nadkarni (Mangesh Venkatesh Nadkarni), born on February 23, 1939, an economist by training and profession, has deep interest in other social sciences as well, as also in religion and philosophy. His contribution to Economics has been mainly in the areas of Agricultural Price Policy, Problems of Drought Prone Areas, Farmers' Movements, Political Economy of Forest Use and Management, Economics of Pollution Control, and Integrating Ethics into Economics. He was a Professor at the Institute for Social and Economic Change (ISEC), Bangalore, from 1976 to 1999, and is presently an Honorary Visiting Professor at the same Institute since 2002. He was a Member of the Board of Governors of ISEC for 15 years from 1992 to 2006. He was also the Chairman of the Centre for Multi-Disciplinary Development Research, Dharwad (CMDR) from August 2007 to December 2009. He continues to be a Member of the Governing Council of CMDR. He has served on the Governing Board of other eminent Social Science Institutions as well - Madras Institute of Development Studies, Chennai; Centre for Development Studies, Tiruvananthapuram, and Institute of Economic Growth, Delhi. He was Chairman of the Editorial Board of the Indian Journal of Agricultural Economics for three years, 2005-07. At ISEC, he started the Ecological Economics Unit in 1981 (renamed now as the Centre for Ecological Economics and Natural Resources) at the instance of Dr V K R V Rao, which is one of the earliest such centres in the field in India. He also started at ISEC a biannual – Journal of Social and Economic Development, the two issues of the first volume of which, he worked for, came out in 1999. He is presently a member of the Editorial Advisory Committee of the Review of Development and Change, a bi-annual published by MIDS, Chennai. He served as the Vice Chancellor for a full term of three years from 1999 to 2002 at Gulbarga University, Gulbarga, Karnataka. He was awarded National Fellowship of ICSSR (Indian Council of Social Science Research), New Delhi, for two years – 2002 to 2004, in recognition of his distinguished work in social sciences. He did his Ph D in Economics at Karnatak University, Dharwad, under the guidance of Dr D.M. Nanjundappa in 1968, where he also taught at the Masters level in the Post Graduate Department of Economics. Thereafter, he served at Marathwada University, Aurangabad, till 1976 before joining ISEC as a Professor. Dr. Nadkarni was elected President at the 55th Annual Conference of the Indian Society of Agricultural Economics in November, 1995, at the Institute of Rural Management Anand (IRMA). His Presidential Address was on 'Forests, People and Economics', published in the Indian Journal of Agricultural Economics, Jan-June 1996. He has visited several countries and given seminars and lectures there – China, France, Germany, Nepal, Netherlands, Russia, South Korea, Sweden, Thailand, USA and Uzbekistan. Dr. Nadkarni has to his credit more than 20 books and major reports and over 150 papers in academic journals and edited books in India and abroad. His latest book - Ethics for Our Times: Essays in Gandhian Perspective (2011, OUP), is going now into a second and enlarged edition. His earlier book - Hinduism: A Gandhian Perspective (first edn 2006; 2nd pb edn 2008; Hindi Tr. 2010 published by Ane Books) has been received well by reviewers. It has been favourably reviewed by eminent scholars like Prof T N Madan, Dr Ramdas Bhatkal and M V Kamath. His new book - Handbook of Hinduism, is now published by Ane Books Pvt. Ltd.
His earlier books are on economics, for example: Agricultural Prices and Development with Stability, 1973; Impact of Drought on Rural Life (jointly with V V Borkar) 1975; Socialist Agricultural Price Policy, 1979; Marketable Surplus and Market Dependence in a Millet Region, 1980; Socio-Economic Conditions in Droughtprone Areas, 1985; Farmers’ Movements in India, 1987; Political Economy of Forest Use and Management, 1989; India – The Emerging Challenges: Essays in Honour of Prof. V K R V Rao (jointly edited) 1991; Planning for Social and Economic Development: Essays in Honour of Dr D M Nanjundappa (jointly edited) 1992; Pollution Control in the South and North – A Comparative Study of India and the Netherlands, (jointly) 1997; Poverty, Environment and Development (jointly) 2001; Landmarks in the Development of Social Sciences (edited) 2002. Nine students have obtained Ph D under Dr Nadkarni’s supervision, most of whom are in senior academic positions. Apart from them, he has also informally guided research work of several other Ph D students and young faculty. He was married to Ganga Karnad in 1968, who passed away in 2003. Has one daughter, Saraswati Naimpally, and two sons - Anirudh and Makarand.